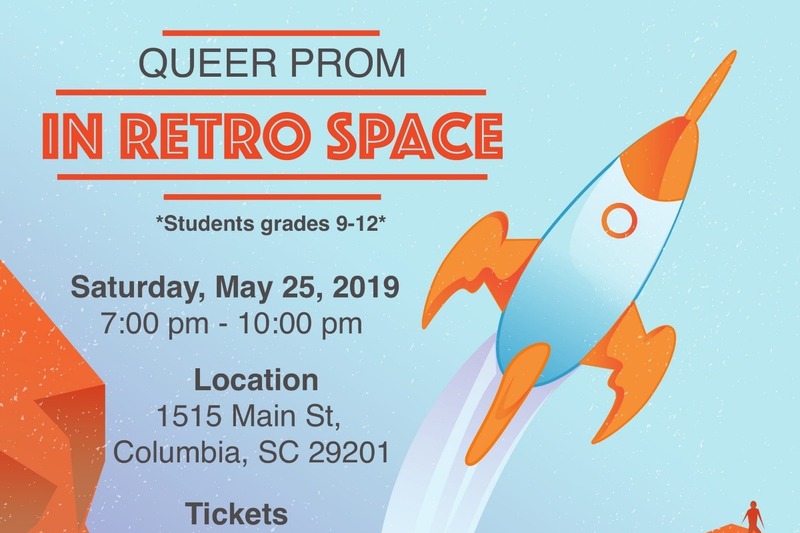 Fundraiser by Jessica Marie : Queer Prom for the Midlands 2019! Queer Prom for the Midlands 2019! We are raising money for Queer Prom 2019! Last year we were able to throw a blow out prom with Irv Thompson as our DJ, professional photography and free downloads of the edited photos, a fully catered event with a sweets table and custom cake, round trip limo rides from the HHC to prom, suits and dresses and professional hair and make up services. With the help of donations we were able to do all of this for $15 a ticket while giving any teen that asked free entry to make sure is was a fully accessible event. We want to go even bigger this year. This year the event is going to be held and the Columbia Museum of Art. The theme is Lost in Retro Space and we want to take the decor to a whole new level. We won't be able to do any of this without donations. This event is entirely funded by donations. The ticket sales are present only to ensure those attending are those who really want to be there. Many teens are allowed in free and what funds we do make go directly to the Youth Outloud Program. So please help us keep Queer Prom going and growing! Youth OUTLOUD is back at it again, sharing why this year's Queer Prom is SUPER important to us! Check out K-Hope's short and sweet reason in this week's video! SIX WEEKS UNTIL PROM!!! How exciting! Here's Danny telling us why he is pumped for Queer Prom! Take a listen! Are YOU ready for Queer Prom? Because WE are! Check out why this teen is pumped for YOL's 2019 Queer Prom! Here's why WE are excited for Queer Prom!!! Expect more videos like these in the upcoming weeks!